What does the Pipedrive and Asana app do? 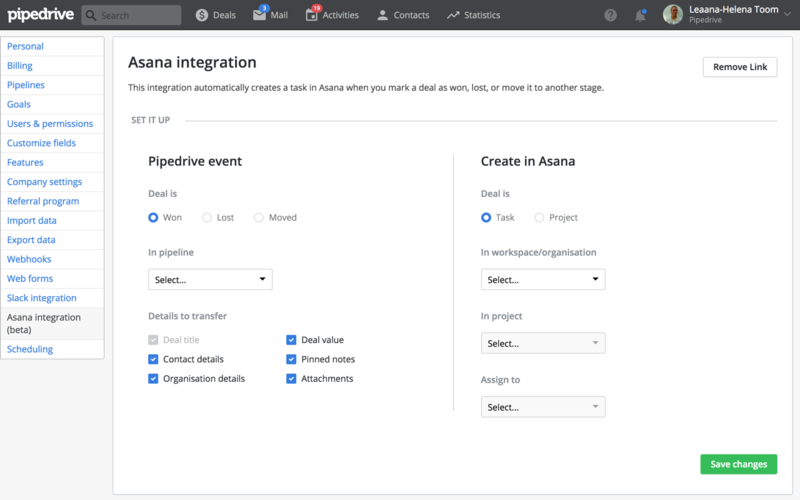 The Asana and Pipedrive app creates an Asana task or project automatically when you start, close, or move a deal to a selected stage in your sales pipeline. A successful sale doesn’t always end with the sales process, and many departments within an organization can affect your relationship with customers. 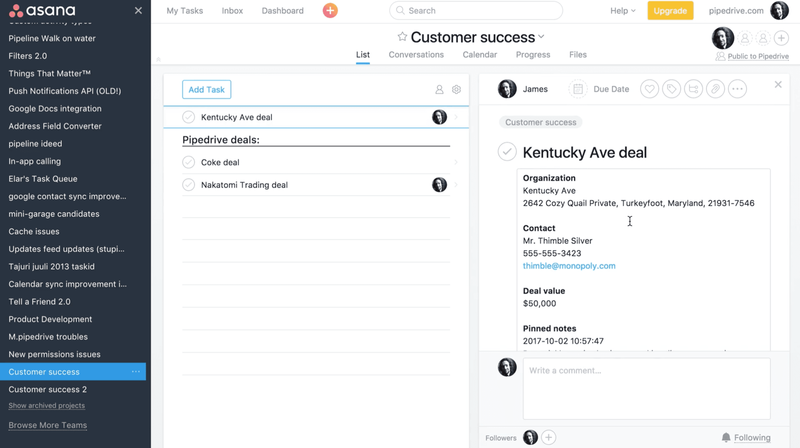 When you connect Asana to Pipedrive, you’ll create a unified communication channel between sales and other vital processes, resulting in a stronger team and more satisfied customers. See the app in action.